Nissan’s updated the Altima, and we’re pleased to say that its all-new look--both inside and out--is leagues more luxurious than its predecessor. 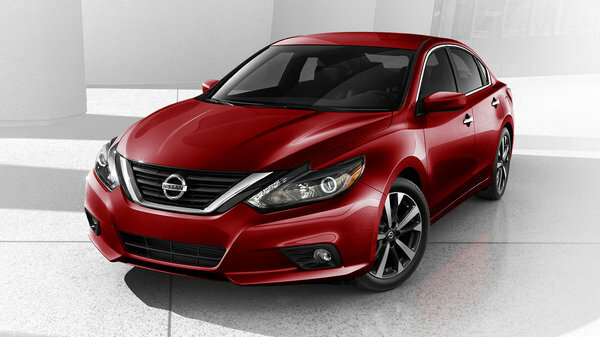 The 2016 Nissan Altima offers up stunning new looks, along with fabulous new engine and transmission choices. First of all, the Altima’s brand new look is a pleasant departure from the previous generation’s boxy design. The new 2016 Altima is sleek, sophisticated, and features Nissan’s signature Energetic Flow V-shaped front grille that positions it perfectly in the manufacturer’s lineup. And it’s not just the front grille that’s all-new: the Altima also sports a more aerodynamic hood, along with redesigned headlights and all new front fenders. You’ll recognize the boomerang taillights in the back sitting atop the revised bumper and below the subtle decklid spoiler. Step inside the all-new 2016 Nissan Altima and you’ll notice it’s not just the exterior that has received a serious update. This midsize sedan is loaded with amenities and features that bring it to the cutting edge within its class, and will surely appeal to a wide range of consumers. The 2016 Altima offers cloth or leather seating, and the centre console is both aesthetically pleasing and easy to use. The white-on-black gauge cluster is a carry-over from the previous gen, but it’s easy to read and super efficient. Brand new for 2016 is the availability of Siri Handsfree in the Altima (Apple CarPlay is not yet available in full, however). 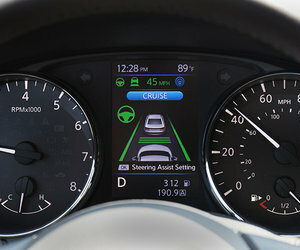 An easy-to-use onboard HMI system in the Altima allows you to focus on driving instead of the entertainment and/or navigation system, which is what modern technology is all about, right? For the 2016 Altima, Nissan went to great lengths to keep external road noises to a minimum using increased insulation, acoustic laminated glass, and underbody panels. In a vehicle like the 2016 Nissan Altima, quiet and comfort are both a must while you’re on the open road. Now, what about those engine options? Well, the previous generation’s engine carries over into this new 2016 model. That means the 2016 Nissan Altima features an available 2.5L 4-cylinder that produces 182 horsepower and 180 lb-ft of torque, as well as a 3.5L V6 that pushes out 270 horsepower and 251 lb-ft of torque. There’s only one transmission choice for the two engines: a CVT. 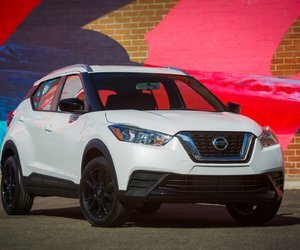 The Continuously Variable Transmission found in this new Altima has been recalibrated and offers a much smoother operation than many of its class competitors. To find out more about the all-new 2016 Nissan Altima, head down to Stadium Nissan today to speak to one of our experts about this newest model. And don’t forget to book a test drive, as well.